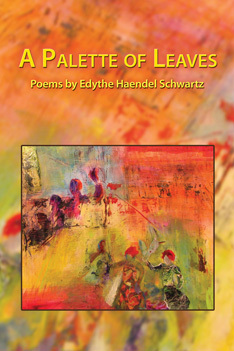 The cover art for A Palette of Leaves by Edythe Haendel Schwartz has been named as a finalist for the 2013 Eric Hoffer – daVinci eye Award. This honor is particularly apt for “A Palette of Leaves”, because the cover features Edythe’s own artwork. The author/aritst worked hand-in-hand with Mayapple Press founder and editor to produce the book cover.